Willie Nelson launches line of CBD coffee—wait, he didn't already have one? Willie Nelson partakes of his morning coffee in a photo from the early 2000s. 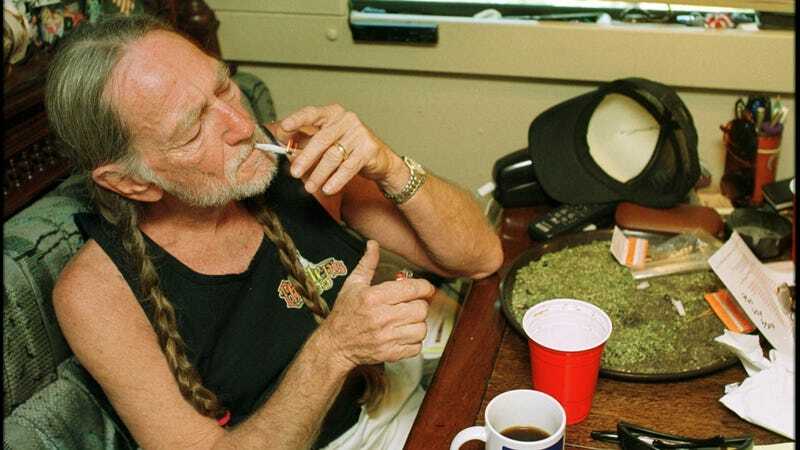 Goddamn American treasure Willie Nelson already has his own branded marijuana products called Willie’s Reserve, but now he’s also launched a line of cannabidiol-infused coffee under the Willie’s Remedy line. My first thought when I heard this news was: wait, Willie Nelson wasn’t already hawking “special” coffee? Turns out, he was not. GuideLive announced the news of the CBD-infused coffee, which is the first release in a line of Willie’s Remedy products that will contain the hemp-derived compound. CBD differs from THC in that it produces a mellow “body high” without the psychoactive effects of THC. CBD is slowly becoming more accepted by the mainstream medical community as a potential treatment for epilepsy and even anxiety and depression. Willie’s Remedy coffee is expected to debut in Colorado this fall and will contain 5 milligrams of CBD per 8-ounce cup of coffee. Back in November, we reported on a similar line of new hemp-derived, CBD-infused cold brew called Kickback, which I was slightly frightened of. (Combining uppers and downers made me a bit nervous. Would they clash in my system and create a horrific jittery-chill state?) But I want to retract a bit of that skepticism, and not just because Willie Nelson assured me I’ll be fine. In the months since then, I’ve noticed the proliferation of CBD-infused products from massage oils to cocktails to dog treats. Friends of mine with chronic medical conditions swear by the relief CBD provides. So maybe it’s time for me to quit being such a square and embrace the fact that the world’s all going to pot.